Update: more evidence have been found and are at the bottom of the page. 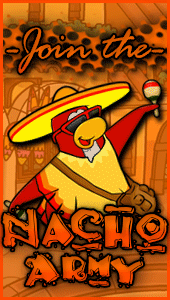 Fjord, Nachos Capital–Taco, RPF Leader, has been “exposed” by two great Nachos. This scandal seems to have appeared somewhere in May, but chances are it existed for more than 4 months ago. Continue reading for details! Earlier this year, Taco was a leader of the Night Warriors. 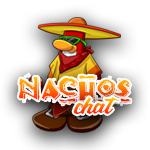 On the 18th of May of this year, Legofan Cy attended a PB between NW and the Silver Surfers, when he noticed what he believed to be Taco multilogging for NW. He saw a penguin in the event called Cypriot123. Being a Cypriot himself, Legofan took an interest to that penguin. As you can see in the picture, Cypriot is “dumped” there. He didn’t even sit or turn to the centre. Just look at it, it’s not being watched well. 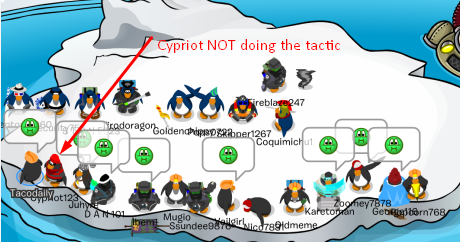 During this event, Cypriot123 was seen often next to Taco’s penguin, Tacodaily, in formation. 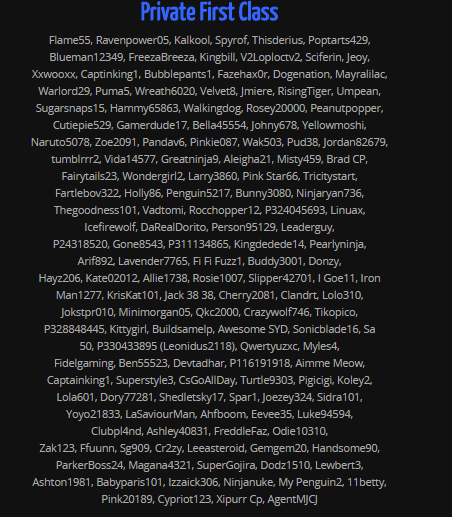 As Taco was the one leading the event, it seems plausible that whenever Taco would order a line formation, he would start the formation by having Cypriot123 next to his own penguin, as Cypriot123 would know what formation would it be before Taco announced on chat. Lego observed that there was no one on the chat who claimed to be Cypriot123 during the event. Lego then tried searching for Cypriot123 on the NW ranks, but he was not there either. 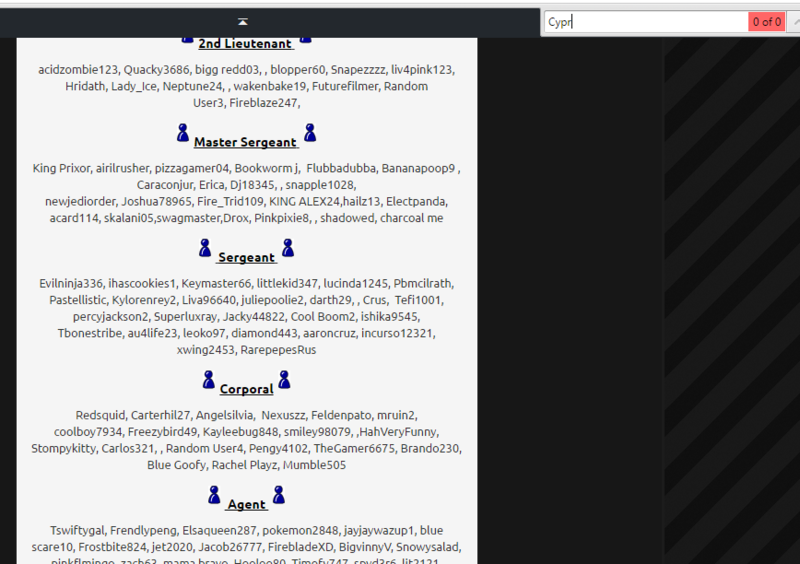 Normally, while a person is posting the results of an event, he is inactive on chat. That applies in this case. After the event, Taco posted the results of the event. 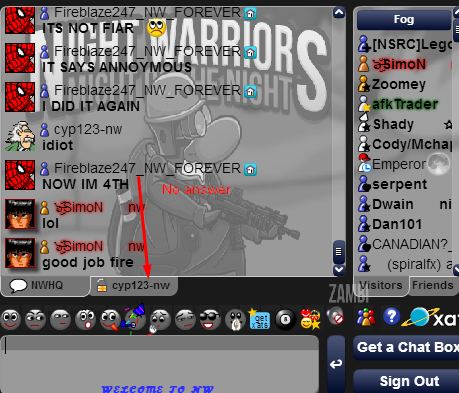 After he was done, a null with the name “cyp123-nw” came onto the chat for a few minutes, and didn’t say anything other than calling someone an “idiot,” before leaving. The null did not respond either when Lego tried to PC him. Cypriot123 does not appear at any other NW events. Taco retired from the NW on June 1st. He joined the Fire Warriors as leader on July 18th. Apparently Cypriot123 decided to join FW as well. 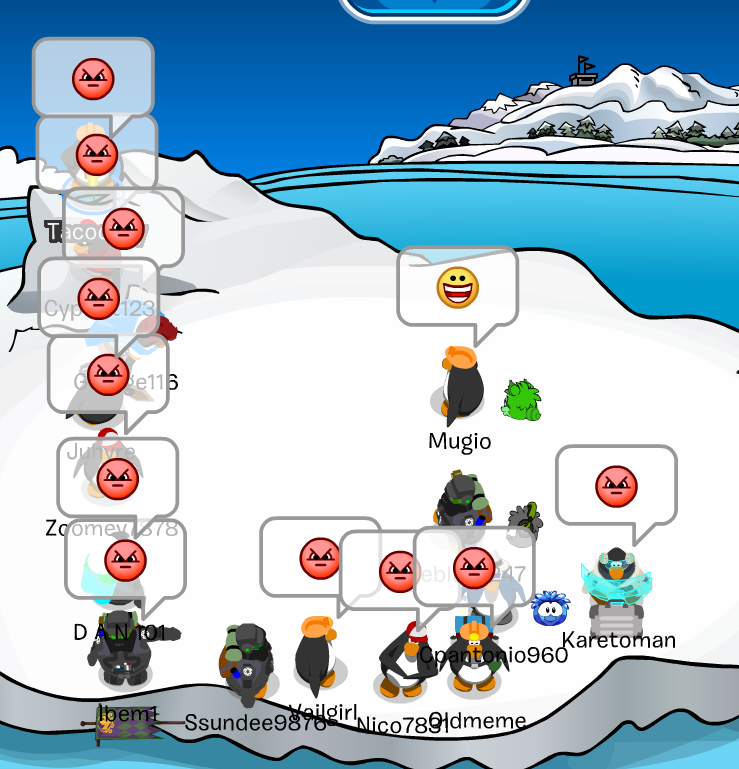 Again, he can be seen next to Taco’s penguin, “dumped”, not even correctly in the circle, at the only event this generation of FW had, a recruiting session on July 19th. 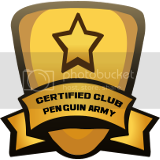 On July 23rd, FW merged into the Rebel Penguin Federation. Badboy and Taco were made leaders of RPF. Cypriot123 again decides to join the army that Taco is in, this time for the rank of private first class. On July 30th, Cypriot123 appears in Operation Silverbird, an event where RPF maxed 25+. 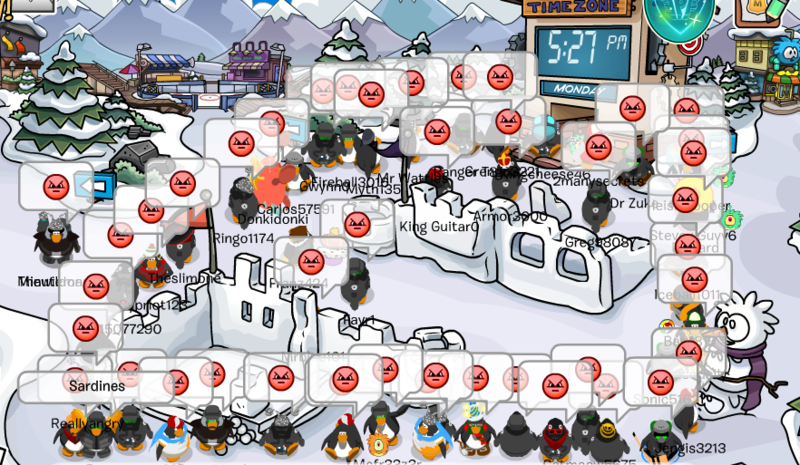 He appears also in the Invasion of Matterhorn on August 1st, and can be seen in the bottom right corner of this picture, wearing the same red and black sailor shirt he wore to the NW event. He also was present at the Ausia Invasion of Blizzard on August 3rd, proving himself to be very flexible about which events he is able to attend; he is able to attend both EST and Ausia events. He appears in this video that Elm recorded of that event. This is the last event that Cypriot123 has been known to attend. In the video you will notice that Taco starts talking right after Cypriot123 stops talking; they do not talk at the same time. Cypriot pastes the link to a screenshot he takes of the event, and asks, “is this good?”. 2 seconds after that, Taco answers “Yes”; he can’t have viewed the pic and answered in 2 seconds. This is just Taco trying hard to make Cypriot seem like a real person. In Cypriot’s name on chat it says “RPF highest member.” But this will seem inconsistent, as on the ranks that day he was listed as private first class. He had clearly been recently added to the ranks. So, every evidence combined give us a big story. Taco is most probably the owner of Cypriot123, but even if he is not, the existence of Cypriot123’s owner is a big question. If by now you aren’t convinced that Cypriot123 was Taco’s multilog let me put this into perspective for you. Cypriot123 is someone who no one knows. He first appears at an NW event when Taco is leading NW. Then he appears at a FW event when Taco is leading FW. 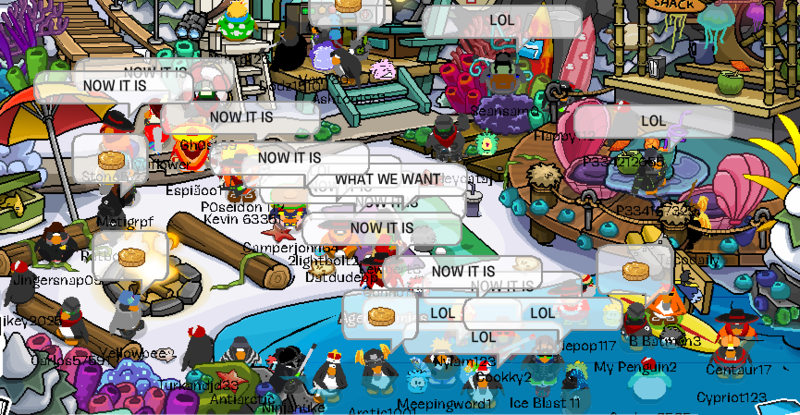 And then he appears at a few RPF events when Taco is leading RPF. All of this happens within the span of three months. If you still aren’t convinced, just keep in mind that Taco has a history of multilogging, and is known to have done it many times before this. Then it should not be hard to believe that Cypriot123 is indeed Taco’s multilog. As most of you may know, Taco has been a SWAT leader many times. Taco has also been caught multilogging in SWAT. A CPAC post can be viewed HERE. Badboy seems to act very similarly to Taco, as he was SWAT Leader, FW Leader with Taco and currently RPF Leader, along with Taco once again. They even made a satire post between the two of them. They both got couped together once also, and according to the following evidence, they might share multilogs too. So, in short, Cypriot123 is Taco’s; Taco shares his multilog with his friend, Badboy, and they both join the same Armies as great friends. Okay, even if that is wrong, Cypriot123 is most probably a multilog of someone. The Investigation was made by an anonymous helper and me.